*SIGN UP HERE. IT IS ALL FREE. JOIN THE BEAST DOME COMMUNITY TODAY. Here is what it is like to be in the chat. @Andy: I personally wouldn’t take Iggy and Turner. Iggy gives you near 3×2, and evan turner will do fine. The only problem is that turner can be very inconsistent and streaky. I’d stick with your 2 stars. @Andy: Make that move now. Ariza has been too inconsistent and Biyombo will get a chance to run free once the Bobcats give him more minutes. Done, anyone wanna rate my team? That’s a very good team. The only player I see worth dropping is Jamal unless Bismack endures an extraordinary slump. If you could possibly get Joakim or Marcus Thornton for Gallo, you’re team would be absolutely dominant. @Andy: Do it! Biyombo will help you so much in the next couple of weeks. I added him several days ago. Brandon Jennings gave his owners 1st round value with 34 Points, 7 Rebounds, 7 Assists, 6 3PTM, 2 Blocks. Let’s see if he can stay consistent and not fall back down to 11 Points. Drew Gooden continues his revitalization with a 23 Points, 7 Assists, 8 Rebound night. He is the comeback player of the year without a doubt. Ersan Ilysova, 4 Points and 3 Rebounds had a game to forget, foul trouble. I jinxed him in my daily rankings putting him as a tier 1 option. Mike Dunleavy played 36 Minutes off the bench to put up 15 Points, to go along with a 3PTM and 6 Assists. Tobias Harris is starter with bench minutes, Dunleavy is a great own if as he can fill up your 3PTM category in a hurry. Jordan Farmar drew the start for the injured Deron Williams. 18 Points, and 7 Assists will have him be a great short term option while Williams is out, questionable for Wednesday. MarShon Brooks saw double digit shot attempts (10), but only made 4 of them and finished with 10 Points. His 5 Turnovers were not a factor in his 34 Minutes. Kris Humphries exploded with 31 Points and 18 Rebounds. His value is always at its highest when Brook Lopez is not on the court, which could be for the season making him a great option to own. 31 Points may not be a bit fluky. When Brooks is on, or if Williams is healthy 15 Points or higher is a more realistic expectation. Jeremy Lin may not be leading the Knicks to a lot of victories, but he is still putting up good fantasy numbers with 15 Points, 8 Assists, 3 Steals, 3 Blocks, 1 3PTM. His value is remaining high during the turmoil. Carmelo Anthony took 21 shots and ended up with 21 Points. Just another Melo performance, the 8 Rebounds are nice. Tyson Chandler remains a solid option with 13 Points, 10 Rebounds, 3 Blocks. He is the key for them to make any playoff run. Amare Stoudemire 20 Points, 3 Rebounds and 2 Blocks will give his fantasy owners some hope. The 3 Rebounds is a head scratcher, and the fact he did it on 12 shot attempts has you a bit worried. J.R. Smith is close to waiver wire material with 9 Minutes and 0 Points. I would wait an entire week of performances like this before cutting bait in deep leagues. Shallow leagues go for it. Derrick Rose put up a typical 32 Points, 7 Assist, 6 Rebound night. Typical from last season. Carlos Boozer was effective in limited Minutes with 15 Points, 7 Rebounds, and 2 Steals. Taj Gibson was the better half grabbing 15 Points, and 13 Rebounds. For now I would wait another game before being worried if you are a Boozer owner. Kyle Korver had a nice spot start for Luol Deng who continues to sit with a wrist injury. Kyle will give you a lot of 3PTM if you need a short term filler. Joakim Noah continued his charade of fantasy stardom with yet another low-end double-double with some blocks and steals. Ronnie Brewer surprised with 7 Assists and 7 Rebounds. Bismack Biyombo beasted with blocking a shot at the buzzer to his total of 4. 12 Points and 7 Rebounds will keep his owners more than pleased. Corey Maggette left the game with back spasms after 9 Minutes. An injury to Maggette is always an alarming thing as he is a slow healer. Gerald Henderson all of the sudden has fantasy value again, he showed it tonight with 15 Points. Kemba Walker’s path to being a fantasy star also goes a bit quicker, as he will see more playing time after scoring 14 off the bench. D.J. Augustin is falling apart as a fantasy option, keep playing him for the quality assists and hope he figures out how to score again with the new void. Tyrus Thomas grabbed 7 Rebounds and 2 Blocks in 20 Minutes with his start. Keep an eye on him. Jarrett Jack 15 Points and 9 Assists have his fantasy owners happy yet again. Chris Kaman continues to dominant with 12 Points and 16 Rebounds. Hopefully he stays as a Hornet if you are his fantasy owner. Trevor Ariza does a bit of every with 12 Points, 9 Rebounds and intangibles. Houston Rocket days. Marco Belinelli does his usual 10 Points. Jordan Crawford put up 19 Points with 5 dimes. The 3 3PTM in the 1st quarter remind you he is for real and can explode at any moment. John Wall continues his epic struggle ever since I gave him the kiss of death and gave him Tier 1 Rankings in my Daily Rankings. Javale McGee was huge with 21 Points and 15 Rebounds. His inconsistent days may be in his past if he builds off this monster performance. Andray Blatche (9 Points, 4 Rebounds, 17 Minutes) is inching towards taking Trevor Booker’s (11 Points, 3 Rebounds, 32 Minutes) job. If Blatche steps it up another level from this it will not be long. Nick Young was hot off the bench 7-10 with 18 Points. He can light it up. Tony Parker returned with 31 Points, and 7 Dimes. His 13/18 from the field will have his owners excited, the 6 turnovers will not. The reason for the monster performance was the early absent of Manu Ginboili who left with a leg injury. His fantasy owners can only hope the fragile glass does not continue to shatter. Tim Duncan was nice with 14 Points and 9 Rebounds. Tiago Splitter dominated with 17 Points, 7 Rebounds in 20 Minutes. Games like that will keep Dejuan Blair as a non-trustworthy option, even when he puts up a double-double with 11 Points and 12 Rebounds. Richard Jefferson is worthless with 5 Points and 1 3PTM. Rather have Brandon Rush. Rodney Stuckey continues to dominant the game. 29 Points and 7 Assists has him as one of the hottest guards in the league. Brandon Knight is staying a relevant option with his 31 Minutes. Barley with his 11 Points and 3 Assists. Greg Monroe 14 Points, 5 Rebounds, and 5 Assists brings an interesting version of him. Tayshaun Prince 34 Minutes continues to prevent Austin Daye from being a fantasy MVP and the hero of the Fantasy Basketball Year. Ben Gordon 12 Points off the bench, nothing special. Al Jefferson, 33 Points and 12 Rebounds with 2 Blocks makes him amazing. Add in the rare 3PTM makes him extravagant. Big Al is playing like the best center in fantasy basketball. Paul Millsap got a nice 12-10 double-double. He added 5 Steals that will make his owners very happy. A much better option when Jefferson is out, which could be the case this weekend. Devin Harris played 30 Minutes, picked up 19 Points and 8 Assists. He may be back and is worth the add in all leagues if you have the space. C.J. Miles off the bench with 15 Points keeps Josh Howard and his 9 Points as an inconsistent fantasy option. THE BATTLE OF MARCIN GORTAT 2.0 vs. MARCIN GORTAT. The winner was, MARCIN GORTAT 2.0 aka Nikola Pekovic. Nikola smashed Marcin at the tune of 24 Points and 8 Rebounds to, Gortat 1.0 with his 4 Fouls, 8 Points, and 4 Rebounds. Marcin was abused. Kevin Love continues to show that life will continue with Rubio, adding 30 Points and 7 Rebounds. What makes him special is his Ryan Anderson like 5 3PTM on 9 attempts. Luke Ridnour remains the man with 10 Points and 9 Assists. Derrick Williams is turning in a fantasy X-Factor with 19 Points, 8 Rebounds, 2 Blocks, and 2 Steals. Michael Beasley however may start playing more minutes after going 6/7 from the field with 15 Points. D-Will’s kryptonite is Beasley doing well. We already know how Marcin Gortat got man handled. Jared Dudley had an Evan Turner like game with 28 Points and 9 Rebounds to go along with a bit of everything. Definitely should not be on the waiver wire. He could be a major X-Factor come playoff time. Channing Frye stepped up with 18 Points in 31 Minutes. Steve Nash 25 Points and 10 Dimes remains connected to Humphries from the Assist department. They are N-Sync. Grant Hill does his thing with 10 Points, 4 Assist in 31 Minutes. A little bit of everything from the veteran. The Celtics came into LA to embarrass the Clippers. Rajon Rondo continues to be a solid fantasy option with 12 Points and 10 Assists. This would be an okay game for his standards. Ray Allen did his thing with 2 3PTM, and 15 Points. That is a typical game from him this season. Kevin Garnett continues to be a beast down low with 21 Points and 8 Rebounds. The comeback season is re-surging his career. Paul Pierce is an absolute fantasy beast with 25 Points and 7 Assists. Andre Iguodala and Paul Pierce are two forwards you want on your team if you want a huge advantage from the assist department. Hedo Turkoglu is the worst version of the two, while Lebron would be the best. Brandon Bass remains a solid double-double threat with 10 Points and 9 Rebounds. Chris Paul had a bad night with the Kobe face mask look, 3/12 shooting, 4 Assists. Randy Foye really disappointed with 3 Points, while Mo Williams exploded for 21. These two can never be on the same page. Blake Griffin continues to put up Karl Malone stats with 24 Points, and 9 Rebounds. DeAndre Jordan was nice in 23 Minutes with 13 Rebounds, and 6 Points. He would be a great option if he saw a consistent 30+ Minutes. Caron Butler continues his downfall with a 3/13 game from the field with 7 Points. He will get every opportunity to snap out this funk. The Warriors were without, Monta Ellis, or Stephen Curry. That did not stop them from going to Sacramento and dominating the Kings. Klay Thompson played 42 Minutes and took 19 shot attempts. Word on the street is he will continue to start for the Warriors. I would add him if I had the roster space. Nate Robinson is the real keeper of this group if Stephen Curry is out for the season. 17 Points, 2 Steals, and 2 3PTM will get the job done. David Lee started what will be a fantasy mirage for him. As the go-to-option he should score 20+ everynight, he started out with 17 Points and 8 Rebounds. Dorrell Wright got a rare double-double with 4 3PTM. Brandon Rush had a nice game with 17 Points, and 8 Rebounds. To read about the new Golden State Warriors, follow the link. The Kings were embarrassed at home. More importantly, Marcus Thornton is going back to his old consistent ways with a 9 Point performance. He has to shape it up the rest of the week to gain back the confidence from his owners. DeMarcus Cousins appears to be back as a go-to fantasy option with another strong 19 Point and 12 Rebound game. Isaiah Thomas of Christmas past played 28 Minutes to knock down 3 3PTM, and 15 Points. His value could go up again before it hits rock bottom. Tyreke Evans really did not do much besides score 14 Points. His value is much higher when Marcus Thornton is not in the lineup. Jason Thompson reminded us why he is on the waiver wire in most leagues with a 2 Point, 9 Rebound show case. The Heat lost to the Magic for the second straight time. Dwayne Wade reminded us of his old school value with a 28 Point, 6 Rebound, 5 Assist, 2 Steals, 2 Blocks, 2 3PTM. Hopefully he keeps up that production. Lebron James was still able to show off his #1 overall value, 19 Points, 11 Rebounds, 8 Assists, 1 Steal, 1 Block, 2 3PTM. Performances like that will barely keep him ahead of Kevin Love for fantasy MVP. Chris Bosh reminded us of simpler times with a solid 23 Point, 8 Rebounds. His consistency has been nonexistent. Mario Chalmers barely remains a fantasy option with 2 Steals and 2 3PTM. Somebody call 9-1-1. J.J. Reddick is burning up the dance floor with 3 3PTM and 17 Points. His fantasy value is for real when he gets the opportunity with no Jason Richardson who still remains out with an ankle injury. Should comeback soon. Jameer Nelson blew up with 25 Points, 4 3PTM, and 2 Steals. He should not be sitting on any waiver wire, as he is red hot. Dwight Howard appears to be staying with the Magic this season. Sell some playoff tickets and watch him grab those 24 Point, 25 Rebound, 3 Steal, 2 Block games. At least they beat the Heat. Ryan Anderson continues to rebound like a beast with 12. He is averaging a 11 boards a game over his last 5. Hedo Turkoglu remains as Andre Iguodala ver. 0.8. 7 Points, 6 Rebounds, 5 Assists is exactly what you would expect. The Portland Trail Blazers are a mess. They have no team chemistry, and they cannot win on the road. The playoffs in the West got a bit easier. Marcus Camby finally had the injury that everyone was expecting. He is a slow healer, so we will see the timeline later. LaMarcus Aldridge put up a 17 Point, 5 Rebound line. He was an elite option before the ankle injury, now 3rd round value. Nicolas Batum was 3/11 from the field. He has been cold lately. Raymond Felton finished with 5 Points and 3 Assists. Not the same Raymond from a week ago. Gerald Wallace makes a strong case for bust of the year with a 5 Point, 6 Rebound performance. He has been this way all season. Wesley Matthews and Jamal Crawford both scored 9 off the bench and are worthless fantasy options. There is a rumor that Raymond Felton may be traded to the Lakers. The rumor is pretty strong. The Pacers destroyed the Blazers which allowed the starters to rest in this one. Danny Granger and Paul George both put up 11 points in limited minutes. Roy Hibbert and Darren Collison both put up 8. David West was able to grab 10 Points, then watch Lou Admundson shoot 10/11 from the field with 21 Points. He will never shoot 10/11 from the field again this season. So owners of West do not have to worry. I gave DeMar DeRozan the kiss of death. I ranked him a tier higher than I normally do in my daily rankings. He finished with 4 Points. Usually players take some time to bounce back, I wish him the best. Jerryd Bayless continues to dominate with no Jose Calderon to the rhythm of 20 Points and 7 Assists. Calderon could be back next game, he could also be traded. Either way pick up Bayless if you have not yet. James Johnson is having issues with his fantasy game now that Andrea Bargnani is back. Johnson will still rack up blocks, and steals. But that is all you can expect as PT is a problem with Linas Kleiza. Bargnani is getting closer to his old form with a 19 Point game. I would say you should see his value the way it once was next game. Amir Johnson and Ed Davis split center responsibilities, both have decent value but will be inconsistent. Antawn Jamison literally forgot to do everything besides make 2 PT FGs and FTs. He only had 1 Assist to go along with his 20 Points. Kyrie Irving had a bad shooting night going 5/17 from the field. However he still added 7 Rebounds and 7 Assists to go along with his 14 Points. Ramon Sessions is hoping to get traded at the deadline as he showed off his skills one last time with 16 Points, and 6 Assists. He would be must-start as a starting PG. Alonzo Gee remains a solid gap-filler at the forward position with 16 Points, and 6 Rebounds. The Rockets beat the Thunder in OKC. Kevin Durant was dominant with 28 Points, 12 Rebounds, and 4 3PTM. He has taken a small backseat to Kevin Love as the #3 best fantasy option. Russell Westbrook was less than solid with 19 Points, 4 Rebounds, and 4 Dimes. Just a random clunker to look past. Serge Ibaka saw 26 Minutes and put up 12 Points, 8 Rebounds and 2 Blocks. Why he does not see more PT is a head scratcher. James Harden snapped his 30 Point streak at 2 games. Still managed to put up 16 and 7 Assists which will get the job done. With the Rockets having the most impressing win of the day without Kyle Lowry, and Kevin Martin, you should not be surprised that two members of “TRIANGLE SLASH” played a major factor. Chandler Parsons has been hot without Lowry, as he put up 21 Points, 7 Rebounds, 6 Assists. I would add him in a majority of fantasy leagues with the way he has been playing recently. Courtney Lee started and played 40 Minutes. 21 Points, 3 Steals, 4 3PTM, it is going to be even harder to trust Kevin Martin going forward. Goran Dragic was solid with 12 Points, 7 Assists, and 6 Rebounds. His value will only go up, especially if he would of done better than 1/7 from 3PT land. Samuel Dalembert saw 30 Minutes and continues to put up solid numbers with 8 Points, 8 Rebounds, 3 Blocks. He looks to be locked and loaded for some semi-consistent production. Luis Scola took 17 shot attempts and finished with 18 Points. The 5 Rebounds reminds us of his old problems. Kobe Bryant played 51 Minutes in a double overtime win in Memphis. In 51 Minutes, 34 Points, 9 Rebounds, 5 Assists. Usually Kobe with 50+ Minutes should be a more epic game, his owners will not complain. Andrew Bynum played 49 and put up one the biggest game of his career. 15/18 from the field with 37 Points and 15 Rebounds. He has been a beast lately. Pau Gasol played 46 Minutes, he put up 14 Points, 5 Rebounds, and 8 Assists. The 8 Assists were nice, everything else will have his owners disappointed. In the heart breaking Memphis loss, Mike Conley managed to play 51 Minutes. He only put up 10 Points, 3 Steals, and 11 Assists. That is what he usually puts up in 32 Minutes. No Rudy Gay meant O.J. Mayo had to step it up. He went 7/25 from the field, and all but assured he will be on the bench even longer behind Tony Allen who found his offensive game with 18 Points. Allen did that in 21 minutes. Marc Gasol showed up his brother with a 20 Point, 11 Rebounds, 2 Steal performance on 10/25 Shots. His value is about to take a major hit when Zach Randolph returns soon. However, Marreese Speights put up 25 Points on 20 Shot attempts and his Gasol’s value was fine. On the flip slide, Rudy Gay was also out with a concussion. Washington fell short to Dallas on the road. No surprise. John Wall put up a nice double-double with 18 Points and 10 Assists. Let us see if he can remain consistent. Jordan Crawford went 5/16 from the field which reminds you he still has value despite the bad game. Nick Young matched Crawford with 15 Points, however he did it on 11 attempts. Trevor Booker continues to keep Andray Blatche on the bench with a 20 Point, 12 Rebound game. Blatche was 5/9 from the field and the Wizards are losing. Do not be surprised to see them switch it up. Javale McGee continues to be an inconsistent fantasy center with 12 Points and 5 Rebounds. The Mavericks have a bit of a logjam at the SG spot. Vince Carter started, played 24 Minutes, and scored 14 Points. Jason Terry came off the bench, played 35 Minutes, and scored 20 Points. Roddy B. came off the bench, played 28 Minutes, and scored 19 Points. I see a lot of inconsistency ahead. Dirk Nowitzki was his new typical self, scoring 27 Points, the 4 Rebounds is a bit concerning. Though he did all that in 28 Minutes, which is also concerning. Shawn Marion remains a fantasy factor grabbing a double-double with 13 Points, and 10 Rebounds. The 34 Minutes will help that. The Hawks go to Denver, and lose by 1 Point in OT. That has to hurt morale. Joe Johnson was a monster with 34 Points on 26 shot attempts. The Hawks are now 13-2 when Joe scores 20 or more, he is starting to catch fire, and he is also going to gain forward eligibility soon in all leagues. Josh Smith continues his fantasy dominance with 33 Points, 17 Rebounds, and 2 Blocks. Let us not forget the 7 Assists, 1 Steal, and 2 3PTM. He fills up the stat sheet with the best of them. Kirk Hinrich is all of a sudden a fine waiver claim as he put up a strong 22 Points, 4 Assists, and 3 3PTM. That is his second nice start in a row, and he has fantasy experience. Go for it if you need those categories. Jeff Teague is falling out of shot attempts in the new Hawks offense. He is racking up dimes however and can still be counted on for steals. Zaza Pachulia was decent with 13 Rebounds and 6 Points. Ty Lawson went into beast mode with 21 Points, 7 Assists, and 6 Rebounds which will have his owners forget about..what injury? Danilo Gallinari appears to be close to back after putting up 19 Points in an impressive 37 Minutes. Impressive for him since we were accustom to seeing the 20+. Nene Hilario also appears to be back playing 38 Minutes and putting up 22 Points. The 6 Rebounds is a bit concerning, since Kenneth Faried will be out there grabbing all of them, he had 9 tonight. Andre Miller had 8 Assists off the bench in 21 Minutes, Al Harrington put up a 19-8 game off the bench in 30 Minutes. Harrington has been great as of late. Aaron Afflalo is seeing the tail end of his fantasy value with a 7 Point game. Evan Turner continues to be a dominant guard with 21 Points, 5 Rebounds, 4 Assists, 3 Steals, 1 3PTM, and 2 Blocks. Next Dwayne Wade from a fantasy perspective. Jrue Holiday put a nice game together with 17 Points, everything else was below mediocre. Spencer Hawes started and played 19 Minutes. He ended up with 5 fouls which shows he is out of shape. Andre Iguodala remains a sick fantasy option with 9 Assists from the forward position, everything else was nothing to write home about. Elton Brand and Thaddues Young led the team in shot attempts with 13. Brand ended up with 16 Points, Young on the other hand had 12. Both are fine fantasy options, while Lou Williams ended up 3/11 shooting which gave Jrue extra time to get his points. With the 76ers getting healthy, there are nights where players are going to have bad games. Too many options, one ball. The Pacers are starting to turn into a mess from a fantasy perspective. Danny Granger showed everyone who is boss with a 20 Point game. He needs to be in that range more consistently for his owners to like him again. Paul George played less than 20 Minutes and had 8 Points. Darren Collison also continues to struggle with 4 Points, and things got worse for both guards now that George Hill had his semi-breakout game with 17 Points, 7 Rebounds, and 4 Assists. That situation could get murky quickly. David West bounced back strong with 18 Points, but only put up 4 Rebounds. Roy Hibbert saw 31 Minutes and gained some confidence with a 14 Point, 9 Rebound, 5 Assists, 3 Block night. Hopefully he can build off of that as he is usually the biggest player on the court every game he plays. Tyler Hansbrough will be a solid option if something happens to West or Hibbert as he put up a 6/9 shooting game for 14 Points. Jerryd Bayless continues to show he would be a 3rd round pick in fantasy if Jose Calderon did not exist. DeMar DeRozan continues to struggle ever since I moved him up to the second tier. 5/15 from the field will not keep him as a good fantasy option, especially when Calderon returns to action and Bayless plays some SG. James Johnson reminded us why he is Gerald Wallace 2.0. Just when you give up on him, he will put up 16 Points and 4 Blocks. He was a difference maker all season in fantasy, and although he is not as consistent, he can still be great. Andrea Bargnani went 4/13 from the field with 10 Points. Soon he will be back to his vintage form, it is good the shot attempts are coming. Kris Humphries went into beast mode with 21 Rebounds and 16 Points. 3 Steals, and 3 Blocks really help cap off what is now a solid 3rd Round value fantasy player. If Brook Lopez is officially out for the season, he moves up to 2nd round quality as a more consistent David Lee. Deron Williams sat out tonights game which allowed Jordan Farmar to draw the start. Farmar was less than impressive with 10 Points and 3 Assists. MarShon Brooks had some extra shot attempts with no Deron Williams, he only made 4 of the 11 he took. 9 Points makes him almost droppable in all leagues if there are better options on the waiver wire. Gerald Green who once had Tracy McGrady potential put up 26 Points, and 3 Steals in 24 Minutes. Keep an eye on him as the Nets could use his offense. Anthony Morrow knocked down 3 3PTM off the bench, that is what he is good for. The Blazers got blown out. LaMarcus Aldridge is not the same fantasy option as he only put up 15 Points and 7 Rebounds. He needs 20-10 every night, and it’s just not happening. Gerald Wallace had a game where I would trade him for just about anyone after grabbing 12 Rebounds and scoring 15 Points. Nicolas Batum continues his epic struggle with 9 Points once again. Ya, you can start to get worried now, if anything he goes to your bench way before hitting the waiver wire. Raymond Felton was saved with 6 Steals, besides that 9 Points and 3 Assists is bench material in all fantasy leagues. Jamal Crawford racked up the DNP, while Wesley Matthews saw 25 Minutes off the bench and scored 8 Points. Marcus Camby toughed out the shoulder injury to put up 2 Points, and 3 Rebounds in 25 Minutes. The Blazers should fire McMillan and start fresh before they make a playoff run. Pull a page out of the Knicks playbook which seemed to work as they got destroyed by them. The Knicks started off great in the Woodson ERA. The starters all saw less than 30 Minutes since it was a blowout, so it is hard to be discouraged by any of their stats. Carmelo Anthony was impressive with 7 Assists to go along with 16 Points. Amare Stoudemire went back to his old school ways with 17 Points and 8 Rebounds in limited minutes. Tyson Chandler would have had a double-double if it was a normal game, and Jeremy Lin had a very alarming 6 Points and 4 Assists. Of course it was a blowout so I would not read into any of that. What I would read into is J.R. Smith knocking down 7 3PTM for 23 Points. He is capable of exploding, and this was exhibition 1A. Let us see if he can continue the success. Steve Novak knocked down 6 3PTM, while Baron Davis racked up 10 dimes. Nice game for the Knicks all-around. The Bobcats were destroyed by the Rockets. At least Bismack Biyombo was able to grab 4 Blocks in less than 30 Minutes. D.J. Augustin was a joke with 9 Points and 3 Assists. Remember when he was a must-start guard at one point this season? Gerald Henderson is counting down the days he is fantasy relevant with 11 Points, next coming of Wesley Matthews. Kemba Walker is very aggressive with the ball taking 13 shot attempts and only making 3 of them. He is going to be a beast come fantasy playoff time. Corey Maggette was able to shake off back spasms and put up 10 Points in 22 Minutes. All Bobcats were pretty much worthless. No Kevin Martin meant someone had to step up for the Rockets. That someone tonight was Goran Dragic. Goran was able to put up 14 Points, and set up his teammates with 10 Assists. He should be a solid fantasy option these next 2-4 Weeks. Courtney Lee drew the start for the injured Martin and underperformed with 9 Points in 30 Minutes. Luis Scola was the one who really picked up the scoring slack with 23 Points, in 29 Minutes. He has been a great scoring option, but once again forgot how to rebound with 4. Samuel Dalembert played 22 Minutes and racked up a nice 12-10 double-double. 0 Blocks will have his owners thinking it was an okay game. Bad news for Dalembert owners as Jordan Hill had a big game off the bench with 14 Points, 8 Rebounds in 15 Minutes. He could be the kiss of death to Samuel. Kyrie Irving was hot going 11/16 from the field with 28 Points. The 8 Turnovers are bound to happen every now and then. Antawn Jamison forgot how to shoot going 4/15 from the field with 13 Points. At least he grabbed 5 Rebounds showing us he remembers how to do that. He will bring it back together. An interesting tidbit is Alonzo Gee becoming more aggressive in the Cavs offense. He took 16 shot attempts and hit half of them for 19 Points. He also added 4 Steals showing he should not be on your wavier wire long, he has been solid for a week+. Ramon Sessions went 0/8 from the field with 6 Assists, hopefully for his sake he gets traded. The Bucks had one last game before Monta Ellis joins them. So what they did is all break-out making the situation even harder for any of them to be consistent fantasy options. Mike Dunleavy scored 21 Points, and 5 Assists in 25 Minutes. Carlos Delfino scored 17 Points, and 7 Rebounds in 43 Minutes. Brandon Jennings scored 17 Points and picked up 7 Assists in 29 Minutes. Drew Gooden got a 3×2, the alarming thing about it is he only took 12 shot attempts. Which will not be enough on most nights. Ersan Ilysova was the man scoring 22 Points, grabbing 8 Rebounds, and blocking 2 Shots to wrap things up. No I’m just kidding, Luc Richard Mbah Moute came out of nowhere to play the most minutes off the bench with 27 and grab a low-end double-double. The Bucks now have to add a player who will shoot the ball 18 times a game if he can. Fantasy headaches are coming across the board. A night after the Lakers won a double OT game in Memphis, they travel to New Orleans and win another game in OT. Andrew Bynum is on a serious tear as he beasted with 25 Points and 18 Rebounds. Add in 2 Blocks and 2 Steals, and you got yourself the hottest fantasy basketball center who has scored 20 or more in 5 of his last 6 games. Kobe Bryant continued to dominant with 33 Points, this time he was more effective doing it on 23 attempts. He is easily the #1 guard in fantasy. Pau Gasol was able to double-double with 18-10. He saw 18 shot attempts, so he should continue to be a nice option. A trade for Michael Beasley can semi-hurt his fantasy value. Jarrett Jack did all he can to beat the Lakers by himself. He scored 30 Points on 21 attempts, he has been great pretty much all season long when healthy. Chris Kaman continues to be a fantasy factor with 21 Points, and 12 Rebounds. Looks like that Chris Paul trade was basically straight up for Kaman at this point. Trevor Ariza was the only other real fantasy worth option as he grabbed 4 steals to go along with a block. Everything else was less than impressive in single digits. The Magic apparently keep Dwight Howard then lose to the Spurs in San Antonio. It is not easy to win there in the first place, but Dwight did his part with 22 Points and 12 Rebounds. Adding 3 Steals and 2 Blocks continues to show how he is easily the #1 fantasy center, though Andrew Bynum is definitely challenging him right now. Jameer Nelson continues his hot play with 25 Points, 5 3PTM, and 7 Assists. He should not be a waiver wire option in any league. J.J. Reddick decides to crash and burn with no Jason Richardson. 6 Points in 33 Minutes will keep Richardson’s starting job all his when he comes back. Hedo Turkoglu decided to shoot the ball with 16 shot attempts, he ended up with 17 Points. Ryan Anderson was solid with 19 Points and 8 Rebounds. Not much to complain about Anderson lately as he has become a very consistent option over these past two weeks. Tony Parker returned from the mend to continue his best fantasy season to date. 31 Points and 12 Assists seem to be coming very frequently from the French PG. Manu Ginobili also ended up playing 22 Minutes and put up a nice 14 Points, 3 Rebounds, and 3 Assists. In 30+ Minutes that will be a great line. Tim Duncan continues to drink from the fountain of youth with 21 Points, and 13 Rebounds. Those DNP’s will come eventually, for now they are not there. Dejuan Blair put up one of those 11 Minute games. He is waiver wire material. Richard Jefferson on the other hand went 2/10 from the field in 30 Minutes, he too is waiver wire material unless you can take the hit in all categories besides 1 or 2 3PTM a game. No Derrick Rose, and the Heat still lose to the Chicago Bulls. Lebron James was dominant with 35 Points, 4 Steals, on 25 shot attempts. Dwayne Wade continued his hot play with 36 Points, and 7 Rebounds. 1 Assist is too low for him, but he is playing like a 1st round pick once again. Chris Bosh fell back to earth hard with a 12 Point, 3 Rebound night on 3/15 shooting. Yikes. Mario Chalmers is a worthless fantasy option, 1 Steal, 0 3PTM. His consistency is terrible, and I am sure there are better guards on your waiver wire. If John Lucas ever picked a game to go 9/12 from the field off the bench in 27 Minutes to lead the team in scoring. Against the Heat was the perfect time to do it. Obviously you cannot pick him up after his 24 Point effort since Derrick Rose did not play. It does make him interesting in the future. Carlos Boozer continues to hit rock bottom with 1/4 shooting for 2 Points and 8 Rebounds. Luol Deng struggled with his wrist injury to only put up 11 Points on 4/13 Shooting. Joakim Noah failed to get a double-double which makes him a bad fantasy center. However adding 4 Blocks to go along with 14 Points and 6 Rebounds is passable. Ronnie Brewer has been a solid stoppage gap for the injured Rip Hamilton putting up 2 Steals, to go along with 12 Points and 6 Rebounds. Do not expect much if you want to go with him. Sacramento continues to lose at home. This time they fall victim to Detroit. Rodney Stuckey is hotter than Evan Turner or any guard in fantasy basketball. Just when you thought it could not get any better, he puts up 35 Points to go along with 4 3PTM and 6 Assists. He did this in less than 20 shot attempts which is just amazing. Greg Monroe went into BEAST MODE with 32 Points, and 11 Rebounds on 15/20 shooting. Brandon Knight was able to double-double with 10 Points, 11 Assists, in 38 Minutes. As long as he gets the PT, he will be a solid fantasy option. Tayshaun Prince exploded with 28 Points, 7 Assists, 5 Rebounds, 3 3PTM, 1 Steal, and 2 Blocks. That is Austin Daye type fantasy potential. Ben Gordon was on the bench for 6 Points and 16 Minutes. He is on the wrong team for this point of his career. DeMarcus Cousins went back into his old habits of foul trouble. He ended up with 14 Points, and 7 Rebounds with a couple of steals and a block. A bounce back should happen sooner than later, especially with the news Tyreke Evans left the game with an ankle injury. He may miss a game or two maximum, if anything at all. Before the injury he put up 23 Points in 27 Minutes which is a great sign. Isaiah Thomas came back from the fantasy graveyard to put up 21 Points, but most importantly play 37 Minutes. A lot of owners gave up on him, I personally have not as I have been saying come fantasy playoff time, he should still be a nice option. The Kings are going nowhere and he is their future PG for now. Marcus Thornton continues to be in complete struggle mode with 9 Points. He is slumping and the only thing that can save him is a breakout game. Jason Thompson definitely had his breakout game with 21 Points and 15 Rebounds. He finally channeled his inner DeMarcus Cousins, let us see if this is the real thing, or just a one night stand. Boston came to Golden State and faced a depleted Warriors team. Boston only one by two points. Rajon Rondo had an interesting line with 14 Assists, 8 Points, and 6 Rebounds. He probably will be a Celtic after the deadline. Ray Allen struggled with 7 Points in 31 Minutes which could be his last game as a Celtic. Kevin Garnett has been a beast as a center and it continued with 24 Points, 7 Rebounds, and 5 Assists. He will be a Celtic at the end of the deadline. Paul Pierce put up 15 Points, 6 Rebounds, and 6 Assists which could be his last game as a Celtic. I would be surprised if they made the trade. Brandon Bass put up a nice 22 Points and 9 Rebounds as his value got a big boost up with the news that Chris Wilcox is out for the season. Nate Robinson held true to his cover image of the Warriors & Bucks Trade. 20 Points, 11 Assists, on 10/19 shooting is just the beginning for what could be the Fantasy Playoff MVP if Stephen Curry is done for the season. Klay Thompson played 40 Minutes and put up 26 Points on 16 shot attempts with 3 3PTM. Both Robinson and Thompson should not be on any waiver wire. David Lee held his end of the bargain scoring 22 Points and 8 Rebounds. 20+ every night is expected from Lee. Dorrell Wright continued to grab rebounds at a nice rate with 7 to go along with 16 Points. Stephen Jackson could either kill his fantasy value, or they will make it work with both of them. Stay Tuned! Brandon Rush got 29 Minutes and put up 7 Points. That is not enough if Jackson does in fact play games for Golden State. Utah hurt their playoff chances just a little bit by losing to the Suns. Devin Harris only played an alarming 16 Minutes and put up 7 Points. No word on any injury, just Jamaal Tinsley really coming from the grave with 8 Assists in 24 Minutes. Paul Millsap is gearing up for the biggest weekend of his fantasy season with the word that Al Jefferson will miss the weekend games. Millsap put up a solid 18 Points, 10 Rebounds and 3 Steals. Derrick Favors will also be an excellent option this weekend as he went 6/8 Shooting in 21 Minutes off the bench. He could easily be a double-double guy. Josh Howard was terrible going 3/12 from the field, Gordon Hayward will eat his minutes up when that happens as he went an impressive 6/8 from the field off the bench. Steve Nash continues to play like Kris Humphries of Assists with 12 Points and 16 Dimes. His value will be solid all season long, no rumors of being traded. Though DNPs could come during fantasy playoff time. Jared Dudley continues to be red hot with 21 Points and 4 3PTM. He has been a great option all month long. Marcin Gortat bounced back from his rough game to put up 25 Points, and 5 Rebounds. He will be fine the rest of the way. Channing Frye was on fire going 10/18 from the field with 5 3PTM and 26 Points. Games like that will make Frye a must-start option as he can really make a difference from the center position. Grant Hill was good with 12 Points, and 7 Rebounds in 30 Minutes. Rock solid mediocre. Atlanta was outplayed in every quarter and fell to the Clippers. Josh Smith did a bit of everything, but not enough of anything. 18 Points, 3 Steals, and 6 Rebounds is just a so-so game for him. Joe Johnson continued to be a solid fantasy option with 19 Points and 5 Assists. Jeff Teague tried to be more a factor in the offense, but failed going 3/11 from the field, 10 Points and 5 Assists is not enough. Unless he has a 5 game week like he does next. Kirk Hinrich had 4 Points in a healthy 35 Minutes, he is debatable waiver wire material unless you are desperate for a guard. Zaza Pachulia is always good for those low-end double doubles with 12 and 10. Chris Paul continues to have a bad fantasy season, tonight he only had 13 Points, and 9 Dimes, those 3 3PTM were solid. Randy Foye had a bad game with 5 Points, so of course Mo Williams blew up with 25. 9/18 shooting and 3 3PTM will keep Mo as a great fantasy option who is a better more safe version of J.R. Smith. Caron Butler had a somewhat coming back to reality type of game with 13 Points and 3 Assists, the 25 Minutes should go up. DeAndre Jordan was perfect going 4/4 from the field with 8 Points, 6 Rebounds and 2 Blocks. He needs more PT if he is going to be a consistent fantasy option. I think he gets it by the time the season is over. Blake Griffin has been a disappointment for a majority of the season as well going for 12-10. The 30 Point games from last season do not show up like they used too. · Love hurts thumb. Should be fine. · Stephen Curry out Friday and Saturday. Nate Robinson. · Derrick Favors is a Must-Add in Daily Leagues for the Weekend. · Tyrus Thomas is a nice Add if you need blocks and missed out on Bismack. John Wall had an explosive first game with no Nick Young. In 42 Minutes, Wall put up 26 Points and 12 Assists. His value will keep going higher with one less option to shoot the ball. Jordan Crawford who is now Must-Own in any league no matter the format had a decent game. The 6/16 shooting could be better, but the 17 Points and 1/7 3PTM shows you how amazing he can be. Trevor Booker was solid with 14 Points, 5 Rebounds, and 2 Blocks. But the best stat was that he played 41 Minutes. His value should take a hit once Nene joins the squad. Andray Blatche was 2/9 from the field in 20 Minutes, and will continue to sit on the bench until he breaks out. New Orleans was embarrassed on their own home court in the loss to a now 10 win team. Chris Kaman did all he can scoring 20 Points and grabbing 7 Rebounds. His fantasy value is now solid the rest of the way after not being moved at the deadline. The real fantasy news for New Orleans is they finally played Greivis Vasquez alongside Jarrett Jack for a majority of the game. Vasquez played 38 Minutes and grabbed 10 Points with 6 Assists. Jack played 40 Minutes to grab 11 Points and 5 Assists. This probably hurts Jack more than it helps Vazquez, but Marco Belinelli is now officially done as a fantasy option. Trevor Ariza was decent all-around with 13 Points, 4 Rebounds, and 4 Assists. He does a bit of everything, but not enough of it. Gustavo Ayon awoke from the grave to play 37 Minutes and put up 16 Points and 9 Rebounds. He will need a full week of games like that before anyone should add him. Charlotte had a bad 3rd quarter and lost out on the big upset for their young rebuilding franchise in Dallas. Corey Maggette is back to being the 20+ Point guy. He is the team’s only scorer in an offense that is desperate for anyone. Bismack Biyombo grabbed 11 Rebounds and 2 Blocks in 24 Minutes. He had a bad game shooting 1/7 from the field, yet still put up passable numbers. Tyrus Thomas was solid scoring 14 Points and grabbing 8 Rebounds. He looks to be the full-time starter and should be a nice fantasy add if you need a block shot guy. D.J. Augustin played 35 Minutes, but only put up 12 Points and 4 Assists in the effort. His value has declined since being injured. Kemba Walker and Gerald Henderson are blocking eachother from having any fantasy value. They each scored 12 Points, Kemba doing in 16 Minutes while it took Henderson 28. Dirk Nowitzki puts up another nice scoring game with 27 Points. He does not offer much outside of that category. Shawn Marion failed to play 30 Minutes, which resulted in a 4 Point, 4 Assist, 6 Rebound performance. He needs 30+ to be an effective fantasy option. Jason Terry played 30 Minutes and scored 18 Points while adding a couple blocks. Terry announced he is playing for a new contract with a new team. He should be fine as a fantasy option, but a bit inconsistent as Roddy B. continues to be a factor off the bench with Terry. Roddy put up 14 Points on 7/9 shooting. His potential is high, and he is really hurting Jason Kidd who failed to do much outside of scoring 7 Points. Kidd is hardly a trustworthy fantasy option. Serge Ibaka only played 22 Minutes and put up 5 Points, 3 Blocks, and 3 Rebounds. For some reason he does not get consistent minutes, even with Nick Collison as his backup. James Harden played 34 Minutes off the bench to put 18 Points and 4 Assists. No matter how well he does, he always has Westbrook and Durant to battle with for touches. Kevin Durant put up a nice 24 Points and 8 Rebounds. Still 3rd in fantasy MVP voting. Russell Westbrook was wild with 7 turnovers. He did manage to put up 23 Points, 6 Rebounds, and 5 Assists with a couple of 3PTM. Ty Lawson has been slumping a bit and it continued Thursday as he put up 9 Points, 8 Rebounds, and 5 Assists in 36 Minutes. On the flip side, Andre Miller was the player of the game for Denver putting up 17 Points in 24 Minutes. I do not expect a time share, but Ty better get his game going. Aaron Afflalo is losing his fantasy value quick with Wilson Chandler joining the team soon, 10 Points will not keep his job. Danilo Gallinari played back-to-back 30+ Minute games, this time he put up 15 Points on 6/12 shooting. The 3 3PTM was a nice addition. Al Harrington went 1/8 shooting in 26 Minutes. Kenneth Faried only played 19 minutes, so Harrington has the confidence of the coaches, even in a bad game. Kevin Love is doing all he can to bring the playoff to Minnesota. 25 Points, 16 Rebounds, and 2/8 from 3PT range will bring the playoffs to his fantasy owners. Nikola Pekovic officially has his owners over the fear of a 2nd half downfall. 20 Points, and 9 Rebounds is just another strong game for Gortat 2.0. Luke Ridnour continues to be an excellent fantasy option with no Rubio. Luke put up 18 Points to go along with 13 Assists, and 2 3PTM. Ridnour is a fantasy stud with no deadline moves by the Wolves. No Michael Beasley trade resulted in Beasley racking up the DNP, and Derrick Williams playing 16 Minutes and scoring 3 Points. Bad fantasy situation for both of them, especially with Martell Webster starting and seeing 37 Minutes. He only put up 10 Points. If he continues to start, he is a good gap filler for an injured player. Devin Harris bounced back from mediocrity with 18 Points on 5/14 shooting in 32 Minutes. He added 3 3PTM, and 4 Assists, still remains a bit inconsistent for my liking. Paul Millsap is getting ready for his big weekend with no Al Jefferson. Millsap put up 16 Points and a solid 11 Rebounds. The real nice stat was the 8 steals and 2 blocks. He should have monster games with no Al. MONSTER. Derrick Favors should also have a couple nice fantasy games and will also gain center eligibility after the weekend in all leagues. Favors to put up 16 rebounds with 4 blocks 23 Minutes. He is a great add for the weekend in daily leagues. Gordon Hayward came off the bench to play 37 Minutes, and score 26 Points on 9/17 shooting. That is Klay Thompson good right there. He is almost worth the add, I would wait to see him be more consistent. Alec Burks also played 31 Minutes off the bench making Josh Howard and his 4/12 shooting in 21 Minutes put his fantasy season in Jeopardy. This situation is getting murky. Al Jefferson was solid with a 12 Points, 13 Rebounds, 2 Block performance. He will be missed this weekend. No Steve Nash or Grant Hill for rest, and the Suns still beat the Clippers on the road. Shannon Brown put up a nice 21 Points on the start. Maybe he will have value later on, but still waiver wire for now. Jared Dudley got another start at forward as he inches closer to eligibility in CBS leagues. Dudley should not be on the waiver wire, despite the 11 Point, 6 Rebound dud. Sebastian Telfair grabbed 8 Assists and could be a nice pickup if you hear any rumors of Nash missing more time. Marcin Gortat had his 2nd bad game of the week with 8 Points, 6 Rebounds. DeAndre Jordan manhandled him in the process. For the second straight game, Channing Frye was the Suns MVP, this time he only scored 12 Points on 4/6 3PTM with 6 Rebounds. He is going to make a difference come fantasy playoff time. Chris Paul continues his weird season with 10 Points, 11 Assists, 7 Rebounds. His fantasy owners are not sure what to make of this game, or his season. Blake Griffin showed a shade of his former self with 25 Points, and 8 Rebounds. He too is having a disappointing season to say the least. DeAndre Jordan had a nice game with 11 Points, 9 Rebounds, and 4 Blocks. He needs to stay consistent, as his scoring will take a hit with Nick Young set to join. Young will directly hurt the value of; Randy Foye who scored 2 Points on 14 Minutes, Caron Butler who played 31 Minutes and only had 14 Points to show for it. This would be a good game for Caron as of late, but his owners expected much more. The player who is really hurt by Young is going to be Mo Williams who will not see as many shot attempts, and 4/14 shooting with 10 Points has happened far too often for the Clips. Embarrassing loss at home for what was a championship caliber team. If you have not yet read the FANTASY FALLOUT on the trade situation. Follow the link. (Trade Analyzer) will come out Saturday where all players will be ranked out of 10. Dwayne Wade & LeBron James look good. Chris Bosh and Mario Chalmers play like bench options. Bosh will be inconsistent the rest of the way. Evan Turner leads 76ers with 13 Points. Andre Iguodala continues to only put up 11 shots a night, at least he is getting 10 Assists. All other 76ers are less than ultra-safe options ever night. Nets completely unravel. MarShon Brooks goes 1/11 from the field, while Kris Humphries goes 0/6. Gerald Wallace is going to enter fantasy heaven. Especially when Deron Williams returns to make this a competitive team. Dwight Howard played 32 Minutes in the blowout win. 18 Points and 6 Rebounds is terrible numbers from him. All other Magic scored 10-13 Points, Jason Richardson returned and played 35 Minutes. Jameer Nelson should not be on any waiver wire after hitting 3 3PTM, and 6 assists in limited minutes. All Pacers are in serious fantasy trouble. Darren Collison led the way with 15 Points, no other starter cracked double-digits. Leandro Barbosa brings in another shooter to a team that is stacked with scorers. All Knicks cannot be judged as none of the key fantasy players like Melo or Amare played over 30 Minutes. J.R. Smith had another nice night off the bench scoring 16 Points. Trevor Booker was the only Wizard who came out to play. 18 Points and 9 Rebounds will keep Andray Blatche on the bench. Jordan Crawford struggled, John Wall did well besides 9 TO’s. Joe Johnson has found his rhythm and scored another 30+ performance. He also qualifies at forwards in all leagues now. Josh Smith continued his near 3×2 numbers with 23-7-8 (Assists). Jeff Teague is back on the fantasy radar after racking up 5 Steals and 2 Blocks in 43 Minutes. Wesley Matthews scored 18 Points back in the starting lineup. Jamal Crawford is going to be better than 3/12 from the field. All other Blazers are heading in the right direction with all the moves, including the struggling Nicolas Batum. Carlos Boozer may be back after a 22 Point, 14 Rebound game in 29 Minutes. Luol Deng put up 18 shot attempts, scored 19 Points. Joakim Noah almost went back to his double-double ways with 13 & 9. The 5 Assists help, but what really helped all Bulls was no Derrick Rose to take 20+ shots. Andrea Bargnani shot 4/17 from the field, yet the Raptors still won in OT, in Memphis, and he scored 18 Points. The reason the Raptors one is because Jerryd Bayless put up 28 Points, 9 Assists, and 6 Rebounds. He better get 30+ Minutes when Jose Calderon returns. Or the Raptors have no idea what they are doing. DeMar DeRozan took 16 shot attempts, hit 7 of them. He will shoot no matter what. James Johnson can do a lot of damage in 28 Minutes with 14 Points, 7 Rebounds, 4 Steals and 2 Blocks. Zach Randolph returned and scored 25 Points and grabbed 9 Rebounds in 24 Minutes. The patient owners were rewarded very quickly. Marc Gasol showed life will be okay with ZBO, as he put up 17 shot attempts and 28 Points. Rudy Gay was fine also with 20 shot attempts and 26 Points, 11 Rebounds. Mike Conley, Tony Allen, and O.J. Mayo combined for 4/18 shooting. Tony Allen is droppable in all leagues. Tim Duncan came back to life with 16 Points, 19 Rebounds and 5 Blocks. Life is good without Stephen Jackson, or Manu Ginobili. Just ask Danny Green and Kawhi Leonard who both had great fantasy games in the result. Dejuan Blair put up a fluky 22 Points and 11 Rebounds, one every blue moon for him. Tony Parker ran the show to beat OKC in OKC with 25 Points and 7 Assists. Russell Westbrook exploded for 36 Points and 6 Assists. Kevin Durant was his sold self with 25 Points and 7 Rebounds. Serge Ibaka continues to see weird playing time minutes, 25 of them with 12 Points, 12 Rebounds, and 6 Blocks. His value should be huge next season. James Harden scored an efficient 19 Points on 8/11 shooting. He would be a fantasy all-star if he was on a different team without two superstars. Rajon Rondo went 2/9 shooting. Luckily the 14 Assists help. Ray Allen was strong with 26 and 5/10 from 3PT land. Paul Pierce has an ankle sprain. He may miss a game or two, still put up 19 Points before it was over. Brandon Bass and Kevin Garnett will be double-double machines with no competition for PT. Marcus Thornton is back after taking 24 shot attempts and scoring 36 Points. No Tyreke Evans is always the recipe. DeMarcus Cousins was strong with 20 Points and 7 Rebounds. 5 Fouls hurt him as he only played 25 Minutes, and it was a blowout. Isaiah Thomas put up 13 Points and 10 Assists in a strong start, most importantly he saw 30+ Minutes. Rodney Stuckey continues to dominant the game with 28 Points and 8 Assists. Hottest fantasy guard in the game. Greg Monroe slipped with 8 Points and 9 Rebounds. Brandon Knight was solid with 17 Points and 6 dimes, he will be fantasy gold come fantasy playoff time. Can Tayshaun Prince and his 6/16 shooting move out of the way for Austin Daye please? Steve Nash with 5 Points and 17 Assists, he truly is a great fantasy assist. Jose Calderon on steroids. Jared Dudley was back to beasting it with 23 Points and 7 Rebounds. No start at forward as Grant Hill returned with 14 Points. The real story is Channing Frye having another strong fantasy game with 14 Points and 13 Rebounds, he did it on 4/14 shooting. Marcin Gortat is falling with 16 Points and 5 Rebounds. Kevin Love was not slowed down by the wrist with 27 Points and 15 Rebounds. Move over Kevin Durant. Luke Ridnour is now a consistent fantasy option the rest of the way with a strong 12 Points, 11 Assists. Think Steve Nash, but less sure of him. Nikola Pekovic had 6 of shots blocked, but still finished with 20 Points and 15 Rebounds. That is Warrior status. Derrick Williams plays less than 20 Minutes, Michael Beasley does not even play. Ramon Sessions makes debut. Comes off bench and looks good. He will soon be must-start material. Kobe, Pau, and Bynum all put up strong games, and will look to continue to be a solid trio with the new addition of Ramon. Monta Ellis made his debut against his old team in his old building. Brandon Jennings (6/15 FG), Monta Ellis (6/15 FG), Drew Gooden (6/14 FG), Carlos Delfino (6/10 FG), Luc Richard Mbah Moute (10/15 FG), Mike Dunleavy (7/8 FG). When Ersan Ilysova comes back this is going to be a bad fantasy situation all around. David Lee has held his promise to me and continues to score 20+. Klay Thompson knocks down 3 3PTM, and dropping 19 Points. Nate Robinson plays 39 Minutes, scores 13 Points but notches 6 Assists. Great upside. Dorrell Wright plays 34 Minutes, goes 4/9 from 3PT land and ends up with 17 Points and 7 Rebounds. Richard Jefferson will make an impact on those numbers. Muntradamus will be live on the chat from 7-10pm Pacific time. To sign up for the chat follow the link, when signed in click on any article and you are in. Ask him lineup questions, player value, anything fantasy basketball related. Jeremy Lin (19 Points. 7 Rebounds. 6 Assists). Linsanity is not done. Roy Hibbert (24 Points, 12 Rebounds, 2 Blocks). Hibbert is not done either. Courtney Lee (25 Points, 5 Rebounds, 2 Steals). Martin’s value takes a hit. Chris Paul (25 Points, 5 Assists, 5 Steals). Solid performance, not elite. Jerryd Bayless (29 Points, 6 Assists, 4 Steals). Better see 30+ Minutes when Calderon returns. D.J. Augustin (23 Points, 11 Assists, 3 Steals). Finally we see his vintage form. Marco Belinelli (20 Points, 2 Rebounds). Put’s the Greivis idea that he is back to rest. Gerald Wallace (11 Points, 3 Rebounds, 3 Blocks, 37 Minutes). Portland Numbers. Jrue Holiday (30 Points, 5 Assists, 13/27 FG). Ready to breakout? Joakim Noah (13 Points, 11 Rebounds). Double-Double machine. Tony Parker (13 Points, 11 Assists). Best fantasy season to date for him. Dirk Nowitzki (27 Points, 6 Rebounds). Another 20+ Point game. Richard Jefferson (2/14 FG, 37 Minutes, 9 Points, 7 Rebounds). Sayyyy whattt? Derrick Favors (23 Points, 17 Rebounds, 1 Steal, 1 Block). No Big AL. Rajon Rondo (12 Points, 16 assists, 1 Steal, 1 Block). Double figure scoring. Kenneth Faried (18 Points, 16 Rebounds, 23 Minutes). Al Harrington loses some value. Andre Miller (2 Points, 2 assists, 1/8 FG). Team is only going to get deeper. Ray Allen (7 Points, 4 Rebounds). This will happen. Brandon Rush (22 Minutes, 0/0 FG). If you thought about picking him up. You can stop. Josh Howard (4 Points, 26 Minutes). Gordon Hayward is the better player. Manu Ginobili (3/11 FG, 9 Points). Rust and Danny Green are making Ginobili look risky. Shawn Marion (DNP-Knee). Marion’s value will drop quickly. Andre Iguodala (7 Points, 4 Rebounds, 3 Assists). It was Jrue Holiday’s Holiday. Luol Deng (3/11 FG, 6 Points, 9 Rebounds). No Rose should mean monster games. MarShon Brooks (3/7 FG, 9 Points, 22 Minutes). His value is dropping quickly. James Johnson (0 Points, 12 Minutes). Raptors are getting very deep. Kemba Walker (1/7 FG, 2 Points, 12 Minutes). His time will come, I would not panic. David West (1/4 FG, 3 Points, 5 Rebounds). Losing confidence in his offensive game. Read the Week 13 Waiver Wire & Week Ahead. Alonzo Gee (20 Points, 9 Rebounds, 9/16 FG, 35 Minutes). He is for real. Worth the add now, though his value could drop when Anderson Varejao returns. Jeff Teauge (18 Points, 2 Steals, 1 Block, 8/14 FG, 35 Minutes). He has played 35+ Minutes his last 5 starts. With 5 games coming up this week, he is must-start material. Dwayne Wade (31 Points, 4 Assists, 6 Rebounds, 1 Steal, 1 Block). Dwayne ordered himself an old fashion with this performance. Goran Dragic (16 Points, 8 Assists, 4 Steals). Too bad he only has three games next week. His existence on this fantasy earth is coming to an end soon. Paul Millsap (24 Points, 9 Rebounds, 5 Assists, 5 Steals, 2 Blocks). Next week Millsap will wake up and this was all a dream. Big Al is coming back, so that will end Favors as well for the time being. Raymond Felton (19 Points, 7 Assists, 2 Steals, 2 3PTM). Life is good with extra PT. He should be solid, yet inconsistent the rest of the way. Jamal Crawford (10/22 FG, 23 Points). Explosion off the bench, let us see if he can stay consistent. Kevin Durant (26 Points, 7 Rebounds, 6 Assists, 3 Steals, 1 Block, 4 3PTM). Kevin Love..watchout. Ramon Sessions (10 Points, 6 Assists, 1/7 FG, 23 Minutes). Can you imagine if he made his FGs and soon plays 30+ Minutes what his stats will be. Must-Own in all leagues. Andrew Bynum (33 Points, 11 Rebounds, 2 Blocks, 9/12 FT).Dwight who? Greg Monroe (23 Points, 15 Rebounds, 1 Block). DeMarcus who? Tayshaun Prince (20 Points, 7 Rebounds, 2 Blocks). Must have gotten angry when I said to sit’em next week. Inconsistent, yet consistent. Chris Paul (19 Points, 15 Assists, 9 Rebounds, 4 Steals, 1 3PTM). Finally, the numbers we have been waiting for 44 games. John Wall (25 Points, 6 Rebounds, 6 Assists, 3 Steals, 3 Blocks). I am moving him to favorite for fantasy playoff MVP. He will go all out with the Wizards playing for nothing. Rudy Gay (27 Points, 9 Rebounds, 1 Steal, 2 Blocks, 1 3PTM). Why does he start playing like this as Randolph is getting back into shape. It is nice to see, but a little late. Michael Beasley (6/16 FG, 26 Minutes, 13 Points, 7 Rebounds). He is back, it did take a Nikola injury. Beasley is out to ruin Derrick William’s fantasy value. Kevin Love (21 Points, 11 Rebounds, 1 Steal, 1 Block, 1 3PTM). Tell me when something new happens. Marcus Thornton (8/20 FG, 24 Points, 5 Rebounds, 4 Steals, 2 3PTM). Does better when there is no Tyreke Evans. Isaiah Thomas (18 Points, 4 3PTM). Does better when there is no Tyreke Evans. Ryan Anderson (23 Minutes, 5 Points, 3 Rebounds, 2 Blocks). One of those games. Hopefully he snaps back to consistency. Mario Chalmers (7 Points, 4 Assists, 2 Steals, 1 3PTM). I can put him on this list everyday if I wanted to. Drop him for a better FA guard in the Week 13 waiver wire. Jared Dudley (4 Points, 2 Rebounds, 1/7 FG). Dudley had himself a clunker. I would look the other way as Michael Redd had a breakout game. That will not last. I hope. Courtney Lee (0/8, 2 Points, 7 Rebounds, 37 Minutes). Kevin Martin may have an easier time getting his role back than I thought. Gordon Hayward (0/2 19 Minutes). Josh Howard the job is all yours again. LaMarcus Aldridge (15 Points, 6 Rebounds, 6/19 FG). Struggling ever since the ankle injury. He is still their guy, just missing shots. Nicolas Batum (6 Points, 6 Rebounds, 3/9 FG, 40 Minutes). At least he is getting minutes. Not looking good for him as of late. I would be patient. Nick Young, Mo Williams, Caron Butler (6/32 FG, 20 Points, 1/7 3PTM). These three are all looking at a time share with Randy Foye. Foye at least gets his shot to start hot as he did today, sort of with 14 Points. O.J. Mayo (3/7 FG, 20 Minutes, 10 Points). There are not enough shots to go around for this Memphis squad. Mayo will be inconsistent the rest of the way. DeMarcus Cousins (9 Points, 2 Rebounds, 20 Minutes, 4 Fouls). Plagued with inconsistency because of dumb foul trouble. His owners are losing sleep over it. I would not make that trade. Gallo is far more valuable to his team than Hibbert is to the Pacers. Hibbert is the 3rd or 4th option while Gallo is the 2nd option. Hibbert also has David West to compete with for shot attempts. The Nuggets on the other hand, have almost no other 3-point threat besides Gallo. Maybe try Frye for Klay Thompson and Parsons as S-Jax may get traded to another team the rumor is. Thanks. I figured Gallo had more value, but his stats are redundant to what I already have.. is there another shot blocker I should target? Somebody just added Klay a couple days ago and has deemed him untouchable since the Dubs/Bucks trade went down. Should I just cut Jackson for Parsons, Amir Johnson or James Johnson? Parsons is the best player there, but I feel the other two players would help my current roster more with their block value. Thanks again, I enjoy reading all your analysis, keep it up. James Johnson is your guy if you want block shots/ steal combo. Tyrus Thoma is an interesting option, but James Johnson brings a lot more consistency to the table. I would not cut Stephen Jackson however now that he is a Spur. He can bring a lot of all-around talent to your fantasy roster once he gets 30+ Minutes a game, which should not take long. Sessions is now a great fantasy option, and Bismack should be more than enough to lead your team in the block category to where you want to go. The trade deadline was kind to your fantasy roster. Besides Gallo and George. I actually cut Jackson before he was re-traded, but I somehow landed Nate Robinson and with Curry’s status up in the air I feel like he’s the better choice as of now. Yeah, I was really pleased with this deadline. I actually ended up dealing Gallo along with Turner (Philly has the least games in playoff weeks) for Ibaka/Matthews. I basically guaranteed blocks with this trade so now I don’t have to bank on Johnson and his inconsistent minutes. It also helps that Chandler should be signing soon making Gallo take a slight dip. I would not make that trade as well. Hibbert for some reason forgot how to score double digits consistently even when the Pacers had all these options. Nobody is safe, and even Danny Granger fails to get 20 Points most nights which is horrific for him. Danilo is getting his legs back and played 37 Minutes last night in an overtime win. He should be more than fine in the long run. Would trading Drew Gooden for Hibbert be a good trade? Or should I target a better player? Eggs, a week ago I would say this move sounds crazy. Now it sounds like you could be getting a steal. I would definitely try to aim a bit higher for Drew before settling with Roy. However Gooden’s value is definitely on the decline if you read the WARRIORS & BUCKS trade article. I would go after Tyson Chandler and Bismack Biyombo before settling with Hibbert. I do not expect Hibbert to be great, but he should be able to get more blocks and potentially more rebounds than Gooden. Thanks for all your expert advice! I’m playoff bound (H2H 9 category – 10 team league) and am looking to make any possible changes to stregthen my team going forward. The areas I am most in need of help is 3’s (ranked last in my league) and pts. (ranked 6th in my league). All other categories I am mid tier (3rd-5th ranked). I have had alot of injured players I have been sitting on but I think with everyone healthy my team is strong. The trade deadline is over in my league, but I did see Jameer Nelson is currently on the wire but not sure if he is better then my current PGs? Thank you for the acknowledgement Smeev. Your team will get a huge boost in points once Zach Randolph returns. Goran Dragic will help in the 3PTM category, however Jameer Nelson is a safer option between the two, and he is good for the long-term. If I were to pick one of the two, Goran might be more explosive short-term. If you want the better playoff option go with Jameer. Too bad you are left with Gerald Wallace on your team, I would put him on my bench. He cannot be trusted any night, and any of your other PF options will put up stronger games. Klay Thompson should put up better numbers than Wallace the rest of the way, though I can see why you are attached and would not drop him no matter how terrible he is performing. Keep reading the DAILY SHOW, and you will see how I feel about all players with fantasy relevance. After losing Kyle Lowry to injury, and Kevin Martin’s lack of consistency, I acquired Ty Lawson, Rodney Stuckey, and Nikola Pekovic. Also, should I be concerned with Aldridge, and try to pawn him off for a better player? 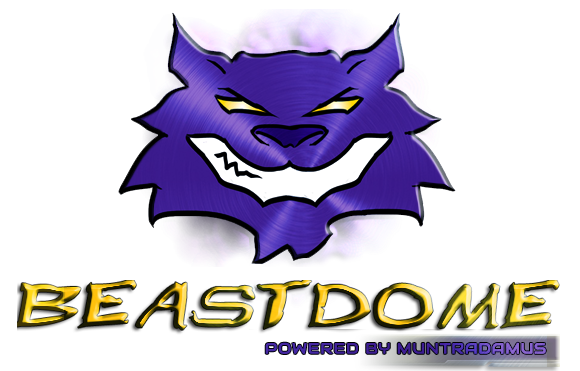 Furthermore, I was wondering if you could create me an account with Beastdome forums since it is not working for me… I would love to utilize the blogging and constant chat box. Thanks! Garrett let me know if you’re having any problems logging in. That was a great trade grabbing the Ty Lawson package. Lawson will put up better numbers than Lowry the rest of the season, and of course right now with Lowry being out. Stuckey is a stud for however long this lasts, and Nikola is part of the 2.0 family (Gortat 2.0). I am concerned with Aldridge as you can tell by what I say. If you can land a 1st round quality player like I know you can, then you should be great in the long run. I would even target Andrew Bynum. Your team still looks stacked and it will take much more than Aldridge to slow down before you have any concerns. Countdown to your championship continues to click. Thanks, my account is now active! I appreciate it, Scream is Garrett btw. Welcome to the community! Go wild and have fun. I wasn’t able to pull of a trade and move Jamal Crawford or Channing Frye. That said, overall I am happy with the production I’m getting, but If I can improve via FA I would gladly do so. Is there anyone on my current roster that you would drop for Alonzo Gee, Corey Maggette, James Johnson or Jerryd Bayless? Also, I attempted to sign up on the site, but never got an email with the password (username: tallenjones) Thanks! Update: Maggette has been scooped up. Your team is so stacked that there is really nobody on your team to drop. Ramon Sessions now has starter value. Thornton will get it together. Jamal Crawford should see an increase with a new coach, and no more Gerald Wallace. Jordan Crawford is starter material in all leagues. Brandon Bass is going to be solid the rest of the way with no more Chris Wilcox. Your team is championship caliber. Awesome. Thank you for all the help getting to this point. I’ll keep you updated on the progress as the playoffs get rolling. Sounds good. Lets bring home that title! first time posting here, but love reading your post, many have helped me a lot and out of my 3 fantasy basketball teams, 2 are definitely playoff bound. So a big thanks. Both teams could use some help, can you name some players to perhaps go after. The trade deadline in both leagues is 3/22. Rev glad to see you start to be active in the Beast Dome Community. I like your teams, but I see a lot of question marks. Here are the players I would try to move. I would be ready to drop: Ayon and Foye. Check my trade Analyzer when it comes out later today to see some guys who have the + next to their name meaning their value is going up. Chris Kaman is a nice target off the top of my head now that he has a home the rest of the season. A home where he gets 20 Points every night. List some FAs, and if your league is daily. Do not hesitate to pick up Derrick Favors for this weekends games. No Al Jefferson means monster numbers ahead. DR is a weekly, and the trade deadline is long gone by 2 weeks min. So all I can do is pick up off the WW. As for AHM, the trade deadline is 3/22 so next week. And I’ve got some feelers out already. I picked up Nate in both leagues and Favors in the AHM league. Favors should have a monster weekend with no Al Jefferson. 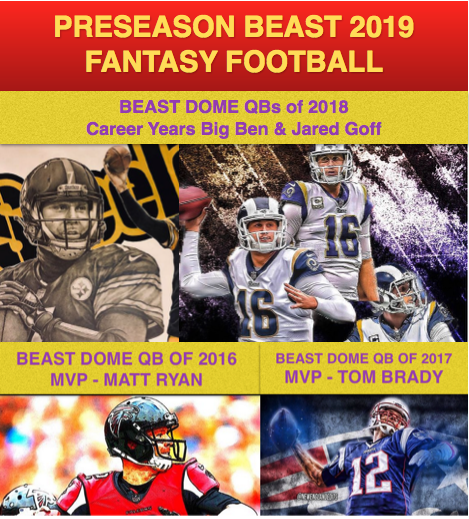 List some more FA’s in your league and I can help you out a bit more. Tell me also where you can move up/down in the standings. Let’s bring home that title! Kevin Martin was just dropped in my league. Would you roll the dice on him? I’m thinking the only person I would drop for him would be Jamal Crawford. Roll the Dice. Although his situation is an uphill battle with Courtney Lee doing well, it is Kevin Martin. He can put up 30 Point games consistently one he gets it going. It is a risky move, but his upside does outweigh Jamal Crawford. *Reminder I will be live on the chat room tomorrow (Sunday) to answer all fantasy basketball related questions from 7-10pm. You know whats pretty funny, out of my league, I was the first one to find this website, and you know, the guys in my league don’t take this fantasy thing too seriously, but we were all really laughing when one guy in our league “Andy”, the one mentioned all the way at the top was showed and we found out how serious he was with this fantasy thing. Hahaha, thanks for putting it up there, we all had a good laugh. Hahaha, thanks for sharing this site with your league. Everyone else here treats the dome as if it were rare treasure and will not show anyone in their league under any circumstance. Hope you enjoy the content, and next time join us for that chat as well.